Mr. Duez's AVID Blog: Socratic Seminar - "Good Boy Beau"
Socratic Seminar - "Good Boy Beau"
Tomorrow we are going to be doing our first Socratic Seminar of the year. We are going to use our tutors to facilitate the discussion in small tutoring groups. The text I have chosen is a column by Anna Quinlen of Newsweek Magazine. It is about her old dog Beau. It is a touching article that dives into the meaning of what it is all about to live life to it's fullest and then realize life has a way of wearing us all down. I am hoping the article can pose a few questions about all of our humanity and make us realize that life is to be lived to the fullest. 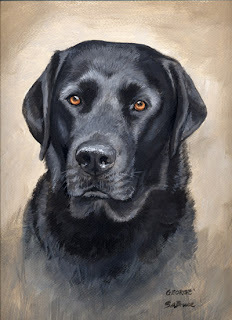 Anna Quinlen's "Good Boy, Beau. Stay." Put a pork roast in the oven, and the guy still breathes as audibly as an obscene caller. The eyes and ears are gone, but the nose is eternal. excerpt: I once had an editor who hated dead-dog columns. (I did one anyway.) This is a live-dog column. It's a shame that obituaries and eulogies come only after people are gone and unable to appreciate them. How many times after a memorial service have you said of the deceased, "She would have loved it"? Rumor has it that certain celebs, knowing The New York Times writes important obits well in advance, have tried to get a peek at their own. The expressed rationale is fact-checking, but I suspect it has more to do with self-esteem. Beau, of course, will have no idea what is said about him. But he does seem to know that a laptop in its case near the front door means a trip to the country, which even now, gimpy as he is, sends him into a fandango. The life of a good dog is like the life of a good person, only shorter, more compressed. Beau started off wild and crazy. My most enduring memory of his youth is of him galloping around the yard, purloined needlepoint yarn streaming from his mouth. One summer he was skunked three times and spent weeks studded with spines after indulging his taste for advanced decomposition by rolling on a dead porcupine. He did not learn to swim until he realized it was the only way to keep geese off the pond. But he also ran with his master every morning, posed in front of the fireplace in winter in a recumbent position like an insurance ad, and suffered the addition of a female yellow Lab to the household six years ago. He stayed off the furniture and did not jump on guests. People admired his self-control, on the street and at dinner parties, although one New Year's Eve he was discovered with his muzzle buried to the ears in a bowl of chocolate truffles. What did you think of the article and our first Socratic Seminar? Would you like to do more? Aidan Says Thanks for the Party Hat!